to prepare for the coming Nativity of Jesus Christ. 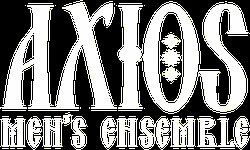 For these concerts, the Axios Men's Ensemble of Edmonton will be led by guest conductor, Maestro Michael Zaugg and will also feature select choristers from the renown Boyan Ensemble of Kyiv. Click on the link below for ticket information.